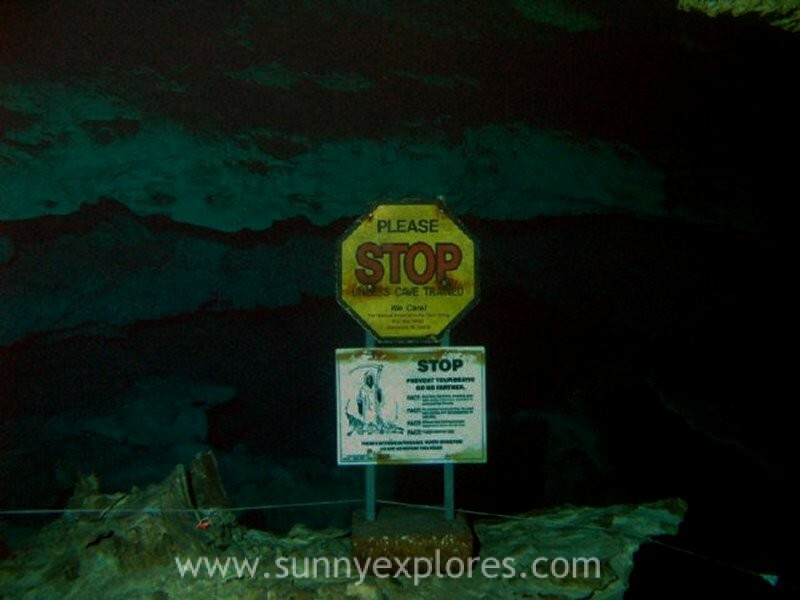 Diving in Cenote Calavera is spectacular! You start your dive with a 5 meter jump from a rock into the crystal clear water of the cenote, that is also called ‘the Temple of Doom’. Cenote Calavera gets its name from the three holes in the roof of the cenote. When you swim in the cenote and look up, you see three holes that resemble a skull. The name Temple of Doom comes from the skull, but also from a little altar. There is a small ledge in the cenote you can see while diving that looks like an altar with some animal bones and a few pieces of Mayan pottery. 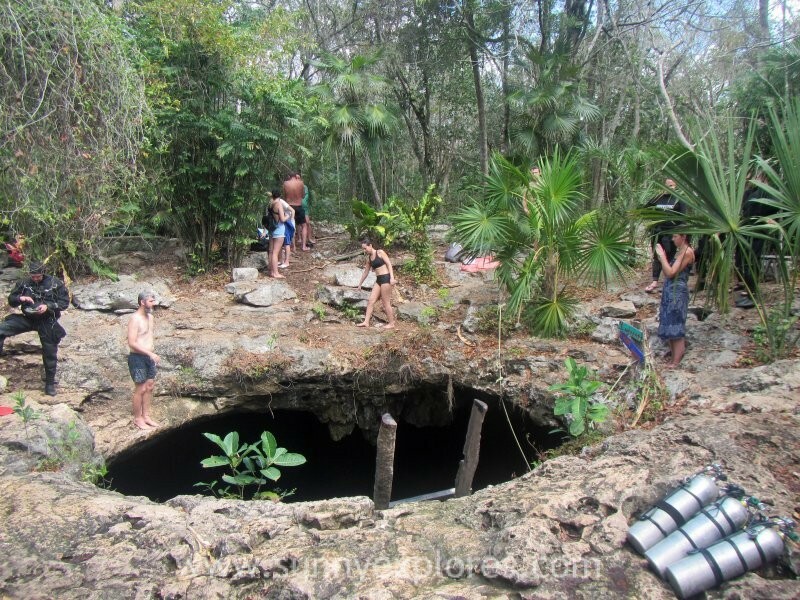 Cenote Calavera is a ‘Cántaro’-type cenote. The roof of the cenote has broken away revealing the water below. 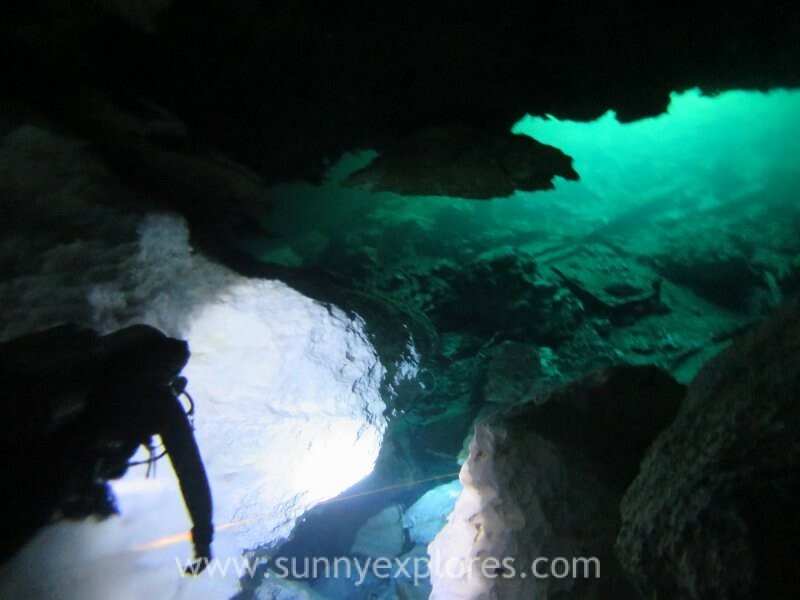 The opening is more narrow than the main cenote. The depth directly under the hole is around 5 or 6 meters. 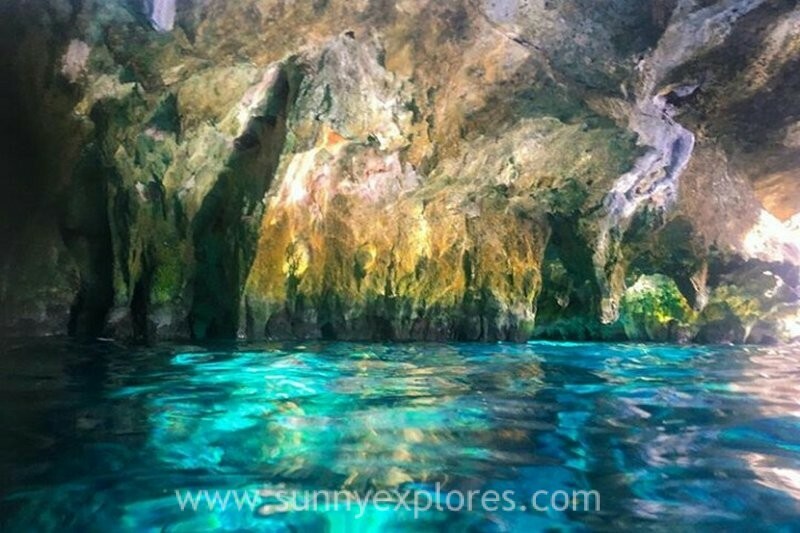 This cenote looks small from the surface, but it opens up considerably below the surface. 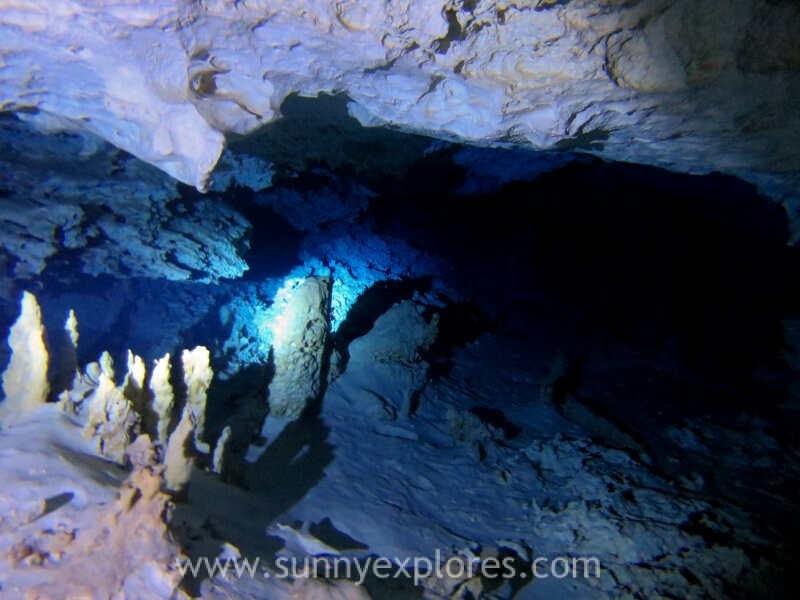 Arms of this cenote stretch deep under the surrounding Mayan jungle. There is a whole world to explore there. This cenote is dived in a series of loops around the main perimeter of the cenote, starting at the deepest level around 16 meters. 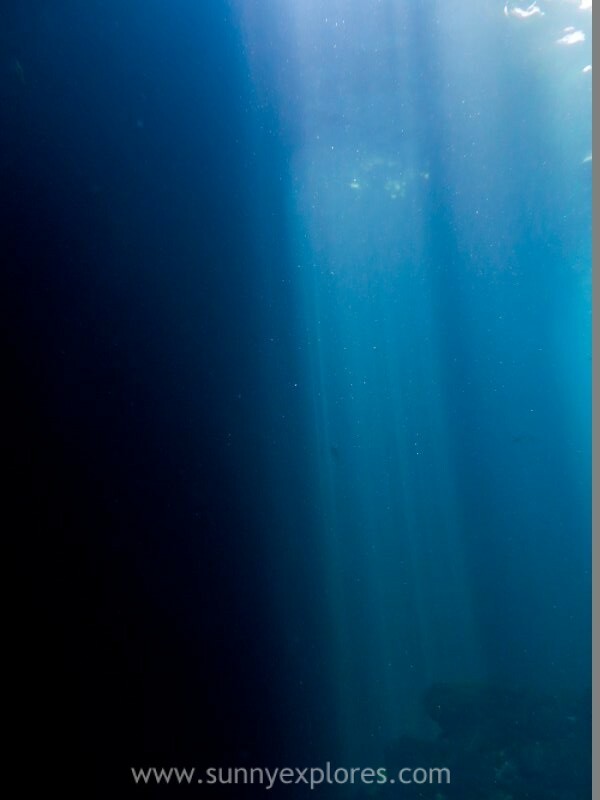 From this depth you will work your way up with each loop. The water is very clear untill the fresh and salt water mix. There is no sulfide layer like in Cenote Angelita, but at this level the water looks a bit troubled as if there is a kind of oil mixture in the water. You can see the mixing of the fresh and salt water making visible layers in the water. Take a good look at the small ledge with the bones and Mayan pottery. It looks like a small altar. From the surrounding jungle beautiful light beams fall in from the holes into the cenote. The light beams are great at the level of your safety stop, so your saftety stop will turn into a photo stop. After ascending, look up and you feel see dozens of bats in the cave. The way out of the cenote is quite a climb: you have to climb a long ladder that takes you up the 5 meters out of the cenote. After a 200 meters walk back to parking, your incredible Temple of Doom adventures had come to an end.